Money is often referred to as wealth and people measure wealth in different ways. Some think of wealth as being their total assets, whilst others use their annual salary and some their hourly wage. But what exactly is money, and what does it represent to you? From a practical level, money provides a common base to value and exchange goods and services and it can also be used as a store of value (so that we can save it and use it later). Perhaps the easiest way to think about the role of money is to consider what would change if we did not have it. How would we value goods and services? How would we get paid for our work? Perhaps we would transition to a complete barter economy, which has its positives and negatives, perhaps a topic for another day. What we associate with money and the prospect of accumulating more money is governed by our beliefs and attitudes about it. Our beliefs on money are formed from childhood and may have been influenced by our parents, friends, schooling and the media. In order for us to understand our own money beliefs we need to first explore our relationship with money so we can understand how this influences our behaviour when it comes to how we spend, save and invest. In a nutshell, when we don’t value money, we can often blow it on self destructive pastimes, when we fear losing it and not having enough we horde it, and find it difficult to enjoy it, and when we have a balanced attitude towards money we maintain, preserve and grow what we have, while being able to enjoy our lives, without experiencing too much financial stress. Please note this is a general comment and there are plenty of exceptions based on challenging circumstances and/or unexpected changes such as redundancy or ill health. 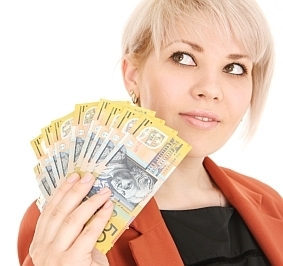 There are a range of misconceptions about money that are common to many of us. It is worth considering each of these to see if there is a belief here that is unhelpful to you. Our money beliefs can change with new life experiences, education and relationships. In identifying and replacing old beliefs we can develop healthier relationships with money, which creates a greater sense of influence and management over our cashflow, assets and liabilities. For more information about money beliefs and your money personality, you can check out our modules or take an online quiz.